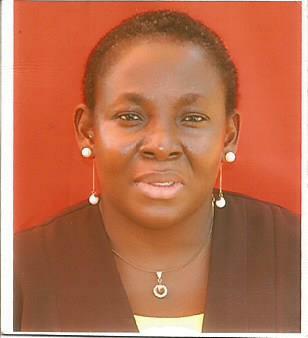 Ayinde, Opeyemi E. is the head department of Agricultural Economics and Farm Management. She banged PhD in Agricultural Economics in 2008 from University of Ilorin, Ilorin, Nigeria where she also currently serves as an academic Staff. Dr Ayinde has alo be useful in several collaborative research such as Facilitator at 3rd AFRICALICS Ph.D Academy; Roundtable Moderator to United Nations Development Programe (UNDP) on Rice Supply Chain Development in Nigeria; World Bank Representative to World Bank Supervision Mission to Nigeria; Research Collaborator with Africa Rice; Research Consultant to International Institute of Tropical Agriculture IITA among others. Ayinde has served as consultant to various national and international organization including Africa Rice, International Institute of Tropical Agriculture (IITA), and West Africa Agricultural Programme Project awarded by World bank. Ayinde is presently carry out gender in Innovation a case study of Stress Tolerant maize and also carry out research on economics of innovation in stres tolerant maize varieties. The researches are awarded by International Institute of Tropical Agriculture (IITA) under Prime Agreement from CIMMYT. Ayinde key research Interest presently has been in the economics of innovation in agricultural productivity exploring themes such as the agricultural producers’ behavior to risk, especially climate risk and as well to innovation; determinants of diffussion of new technology, Agricultural Management strategies, Effect of Climate change on Agricultural production and gender issues. in innovation studies.